Australia has been gifted more than its fair share of amazing local wildlife attractions with more than 80% of species found here being unique to the continent. Though much of our iconic local fauna can be viewed in world class zoo’s, preservations or protected enclosures, the essence of a true campervan holiday is to get out and experience natures wonders for yourself. As such this weeks feature includes some of the best wildlife attractions that can be found off the beaten track – experiences that will allow visitors to witness wildlife in their natural habitat and take part in some of the best natural phenomenon in the animal kingdom. 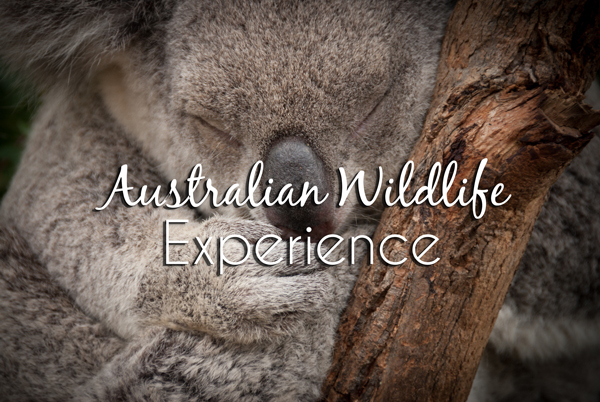 So strap yourself in and get ready, for our Top 5 Australian Wildlife Experiences! The period of time between November and February sees the annual nesting of hundreds of Australian Sea Turtles across locations on the South Queensland coast as they come together to breed and lay eggs that will sprout the next generation of shelled marine life. 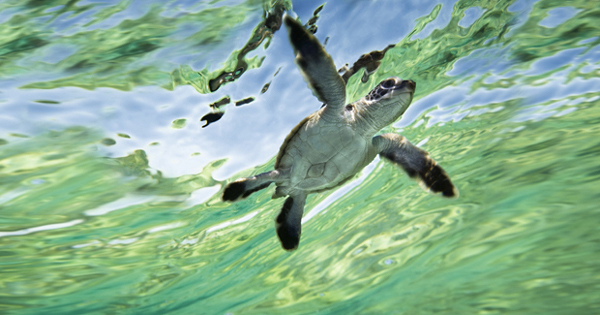 This is a world famous event and a joy to be a part of as visitors to the region can partake in the emergence of hundreds of tiny baby sea turtles as they break free from their shells and make the hazardous dash from the sand into the ocean. Heron Island, Lady Elliot Island and Mon Repos Conservation Park are the most popular locations for Sea Turtles to gather during the season and guided tours are run nightly from November to late March. Bookings are essential though visitors can scout for hatchlings on Lady Elliot and Heron Island unassisted. The islands are located just off the coast of Bundaberg and are accessible by boat and ferry. Hire a camper from Brisbane and make the 5 hour drive to the islands this season to experience one of natures most thrilling events first hand! 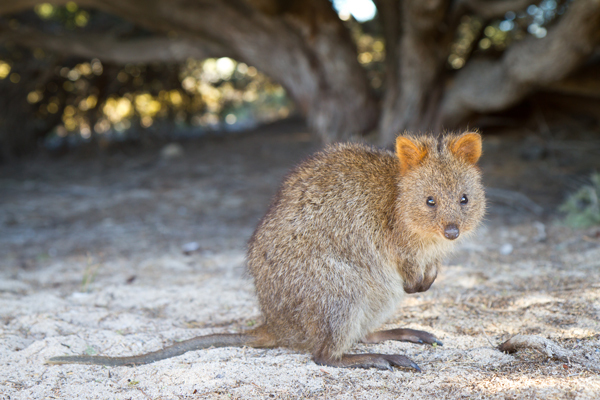 Just on the outskirts of Thomson Bay Settlement on Rotnest Island lays Australia’s largest population of the quokka – a sweet, small bodied marsupial that Dutch explore Willem de Vlamingh mistook for a large rat when he first discovered the island in 1696. The quokka is unique to Australia and can be found almost exclusively on Rottnest Island, and has been nicknamed the ‘happiest animal in the world’ due mainly to their friendliness towards humans, but also the apparent smiles they make when they have their photos taken in ‘selfies’. This animals are well loved and visitors to the island can embark on self guided walking tours of the area and spend as much time as they like among the friendly quokka population which routinely come up to greet people on the walk. For the sake of preservation however, interacting with the quokka, i.e touching or handling them in anyway is illegal and carries a $300 fine. Rottnest Island is located 19km off the coast of Perth and is accessible by boat, with a variety of other outdoor activities to enjoy in the area also. This is an unmissable experience and would make a sensational addition to any Western Australian Camper trip! The Taronga Plains Zoo or The Dubbo Zoo as it is known to locals is one of the most immersive and breathtaking wildlife experiences in the country. Though the animals found here are not strictly Australian, the opportunity to get up close and personal to lions, tigers, giraffe and a host of other magnificent creatures in a near natural environment is impossible to pass up and comes highly recommended from past visitors to the area. Visitors can hire a golf buggy and make their way around the park in a safari-themed approach reminiscent of the great plains of Africa. Attend feedings, watch live shows and walk or sleep among the wildlife as you get closer than you could ever imagined to the wonders of nature in this truly unique game park experience. Dubbo is a 5 hour drive west of Sydney (396km) and has several caravan parks to choose from, all fully equipped and reasonably priced. Escape the heat and visit during the winter months for low season prices and discount rentals. 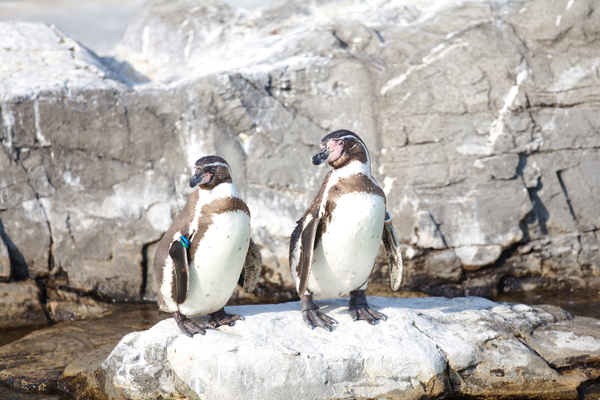 Extending along the southern coast from Fremantle to Sydney including Tasmania, the breeding grounds of the worlds smallest penguin a.k.a The Fairy Penguin play host to an incredibly popular local attraction that occurs every year. Colonies of penguins return here every year to socialize and feed in what has been described as a truly magical experience and one not to be missed. The town of Bicheno in Tasmania is one of the best viewing points for this annual ritual, as visitors can line up on the beach and witness the penguins emerging in packs from the chilly Tasman ocean, whilst they scurry up the nearby sand banks in search of shelter. This is an unmissable event whilst visiting the Apple Isle and can be reached via Campervan from Launceston along the east coast route of Tasmania. The 2 hour drive is made up of truly fabulous driving country and Bicheno has several camping options available. The whale shark is the world’s largest fish and feeds off various forms of plankton that can be found all along the international migration route that they follow year round. 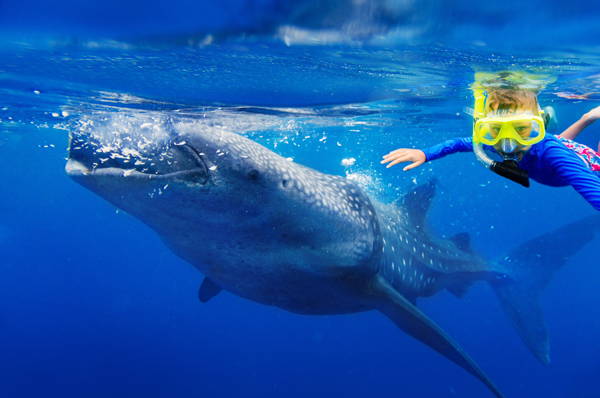 Whale sharks are known to pass seasonally through exotic locations such as Mexico, The Philippines, Mozambique and Honduras, however from March until July they grace Australian shores with their soft, calming presence that somewhat belies their incredible size (up to 18m). Swimming with these giants has become a popular attraction in certain areas of Western Australia and tours run out of Exmouth and Coral Bay during the season. These locations are easily reached from Perth and are located near a number of other fascinating attractions that can make for a brilliant holiday in Western Australia.